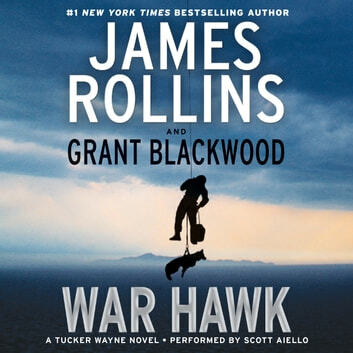 Former Army Ranger Tucker Wayne and his war dog Kane are thrust into a global conspiracy that threatens to shake the foundations of American democracy in this second exciting Sigma Force spinoff adventure from New York Times bestselling authors James Rollins and Grant Blackwood. Tucker Wayne’s past and his present collide when a former army colleague comes to him for help. She’s on the run from brutal assassins hunting her and her son. To keep them safe, Tucker must discover who killed a brilliant young idealist—a crime that leads back to the most powerful figures in the U.S. government. From the haunted ruins of a plantation in the deep South to the beachheads of a savage civil war in Trinidad, Tucker and Kane must discover the truth behind a mystery that leads back to World War II, to a true event that is even now changing the world . . . and will redefine what it means to be human. With no one to trust, they will be forced to break the law, expose national secrets, and risk everything to stop a madman determined to control the future of modern warfare for his own diabolical ends. But can Tucker and Kane withstand a force so indomitable that it threatens our very future?